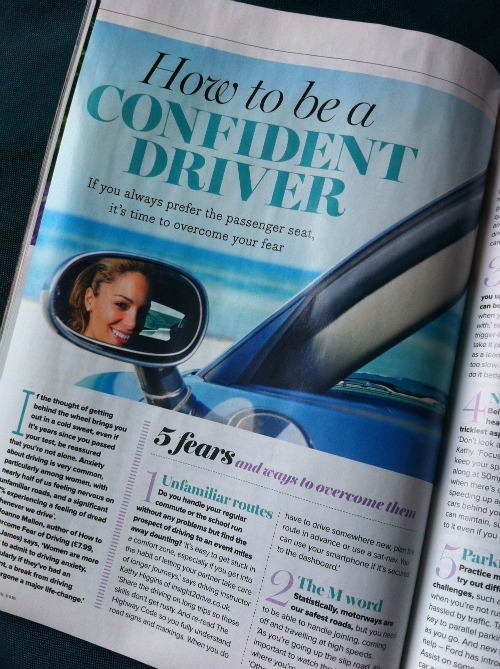 Just a heads-up that there’s an excellent feature all about overcoming fear of driving in the August edition of Prima Magazine, which is on sale now in the UK. The article isn’t online yet but I’ll link to it if it does become available. Surprisingly for such a common fear, you hardly ever read about fear of driving in mainstream media. I wonder why that is? It’s a shame because often the best way to deal with a fear is to shine a light on it, rather than allow it to hide away under cover of darkness. So I’m really pleased that such a well known magazine has devoted a double page spread to overcoming fear of driving. 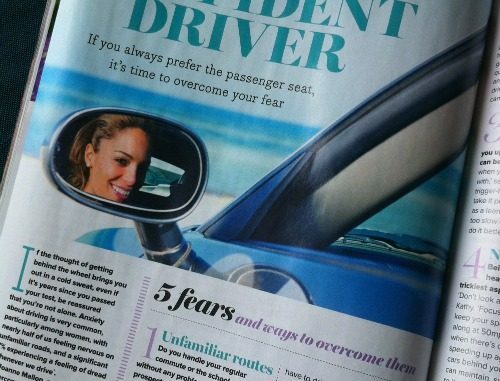 It’s a very positive article with tips from me and others to help you beat five common types of driving fear and become a more confident driver. Thank you to motoring journalist Maria McCarthy and Prima for asking me to be involved in this feature. My book, How to Overcome Fear of Driving: The Road to Driving Confidence is available now in Kindle & paperback formats.